Based in Bangalore, Aren Sales and Services is one of the most reputed dealers of Air Compressor, Compressed Air, Compressed Rental, New Compressors and Air Dryers & Filters. 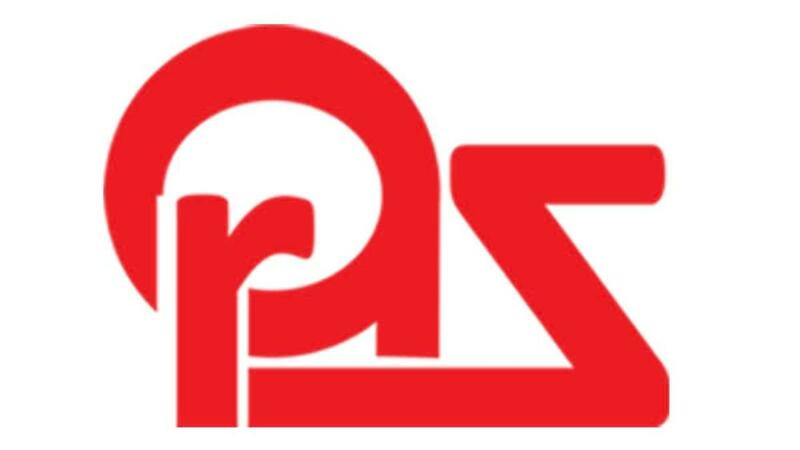 Since its very inception, Aren Sales and Services has been dedicated to providing its clients with an exclusive range of premium quality products. We are a leading dealer and supplier and have been acknowledged by our clients for providing good performance products. The air compressors that we offer are in huge demand in major heavy duty industries such as Rice Industry, Glass Industry, Sugar Industry, Paper Industry, Chemicals industry, Ceramics industry and Automobile industry. Our whole range of products is made using premium quality raw material at our vendor’s end. Further, these products can be availed by the customers in various specifications as per their need. We also provide repair and maintenance services for all types of air compressors. MARK, the leaders in compressors segment with this appointment will now be able to serve local customers with individual needs. Hence a global company now will have a local presence and knowledge. 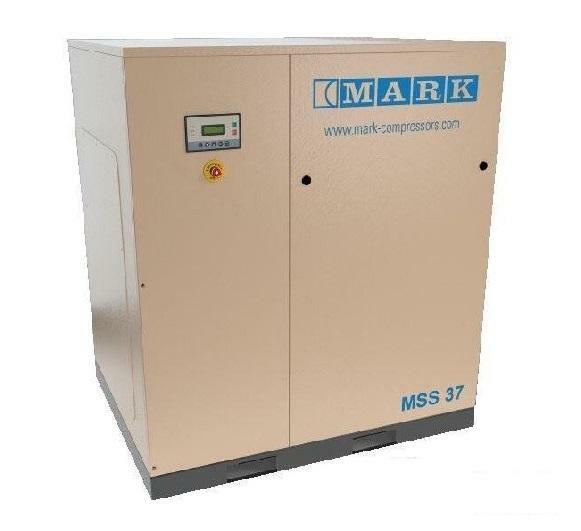 MARK has made an extensive effort on making its units as silent as possible, and today, the noise level of MARK screw compressors is the reference in the market. The compressors used for compressing air are called air compressors. Compressors are invariably used for all applications requiring high pressure air. 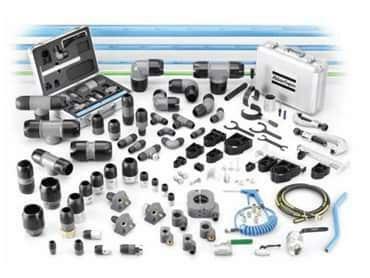 Some of popular applications of compressor are, for driving pneumatic tools and air operated equipments, spray painting, compressed air engine, supercharging surface cleaning, refrigeration and air conditioning, chemical industry etc. Reciprocating compressors are often some of the most critical and expensive systems at a production facility, and deserve special attention. Gas transmission pipelines, petrochemical plants, refineries and many other industries all depend on this type of equipment. Due to many factors, including but not limited to the quality of the initial specification/design, adequacy of maintenance practices and operational factors, industrial facilities can expect widely varying life-cycle costs and reliability from their own installations. The rotary screw compressor uses two rotors (helical screws) to compress the air. There’s a ‘female’ rotor and a ‘male’ rotor. The rotors are of different shape, but fit each other exactly to compress the Air. In a dry running rotary screw compressor, timing gears ensure that the male and female rotors maintain precise alignment. In an oil-flooded rotary screw compressor, lubricating oil bridges the space between the rotors, both providing a hydraulic seal and transferring mechanical energy between the driving and driven rotor. Gas enters at the suction side and moves through the threads as the screws rotate. The meshing rotors force the gas through the compressor, and the gas exits at the end of the screws.The effectiveness of this mechanism is dependent on precisely fitting clearances between the helical rotors, and between the rotors and the chamber for sealing of the compression cavities. 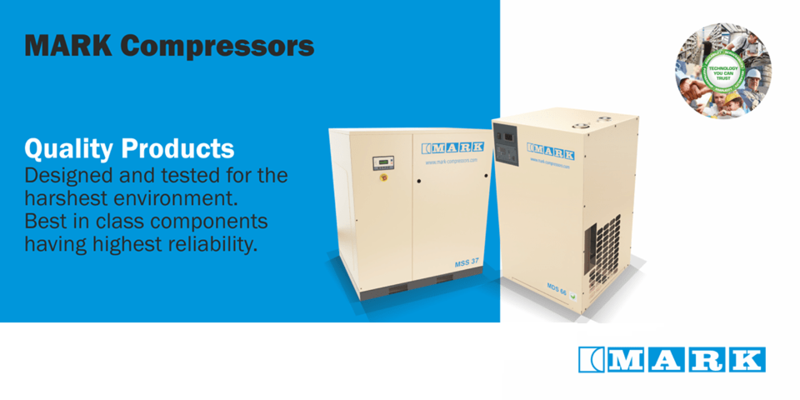 MARK under the Atlas Copco umbrella brand offers a TECHNOLOGY YOU CAN TRUST.